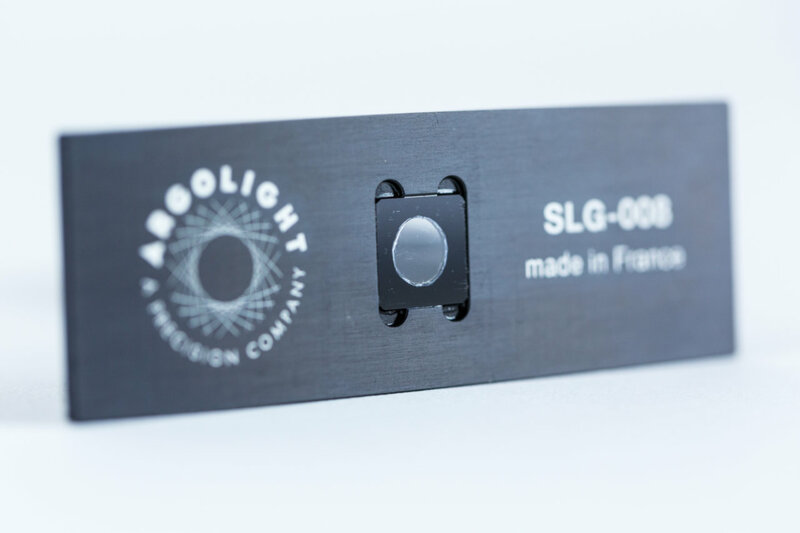 Argolight slide are designed to routinely check the stability of the characteristics of your systems. Argo-Check Homogeneity is a re-usable stable fluorescence slide for assessing and monitoring fluorescence-based imaging systems. 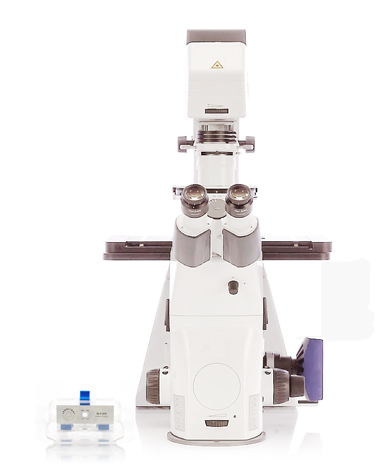 This slide is specifically designed for confocal and widefield microscopes. 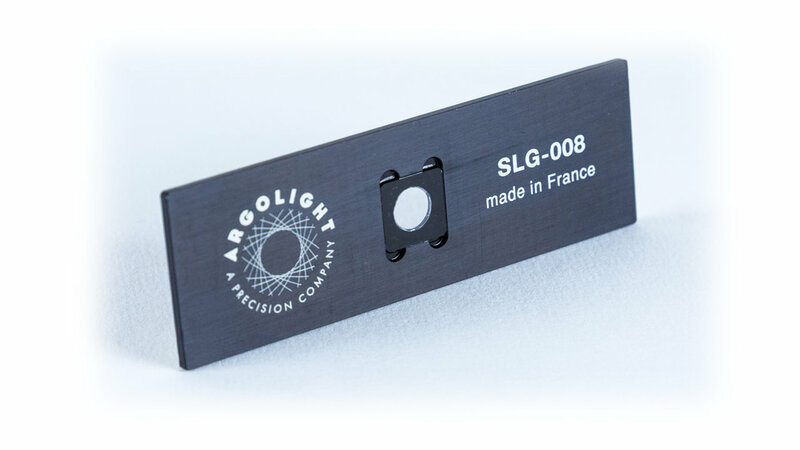 The Argo-Check Homogeneity slide contains mainly four fluorescent microscopic patterns designed to measure the homogeneity/shading, the distortion, the chromatic shift of your image. All Argolight slides come with Daybook 2 software (Free access). 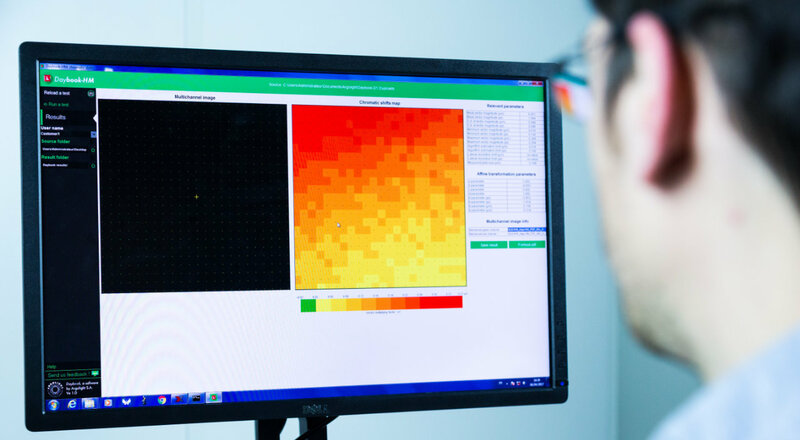 It will help you to standardize the analysis of your images and compare your results with your colleagues or between systems. Data is stored in clear common formats and is clearly time-stamped. You can access past data, share it or store copies on your servers. Try Daybook 2 software with sample images here. 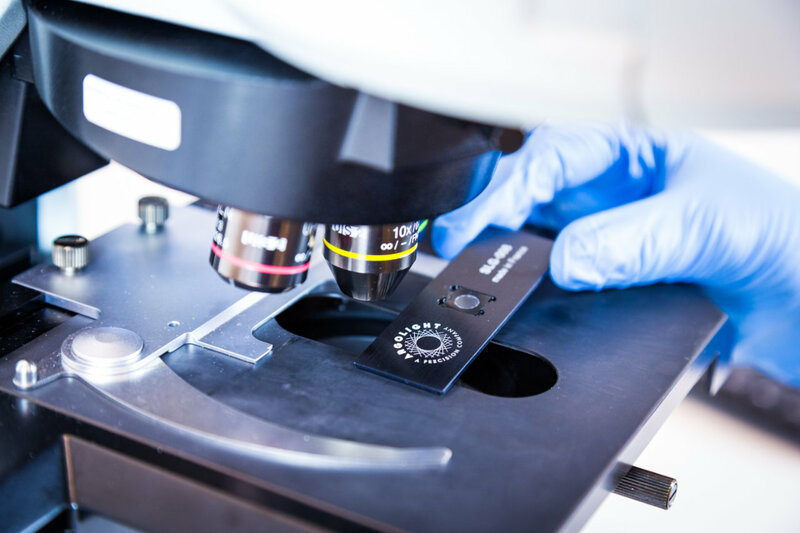 Ensure reliability and stability of an imaging system – obtain coherent measurements comparable over several years (including fluorescence quantities). 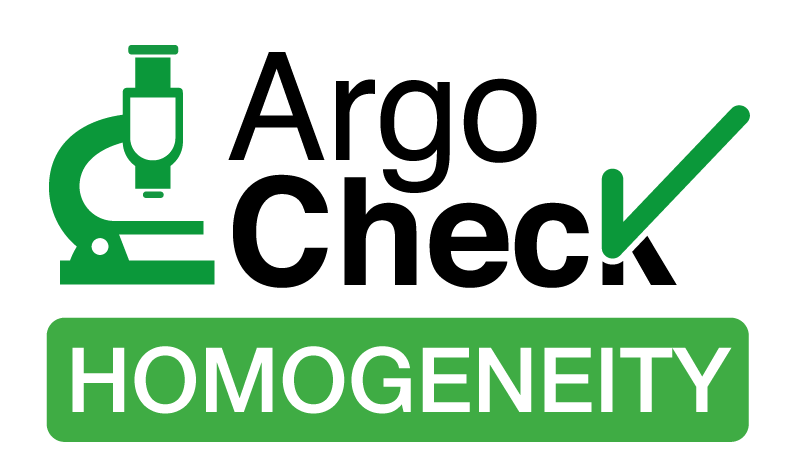 Set-up and maintain quality management at a low cost for fluorescence measurements. Simplicity: No need for refrigerated storage, no consumable to add. Ruggedness: Withstands fall from 2m height thanks to its metallic enclosure. Compatibility: Works with oil immersion, dry objectives and water immersion objectives (more about water immersion). Cost: Replaces consumable tools and increases monitoring frequency. 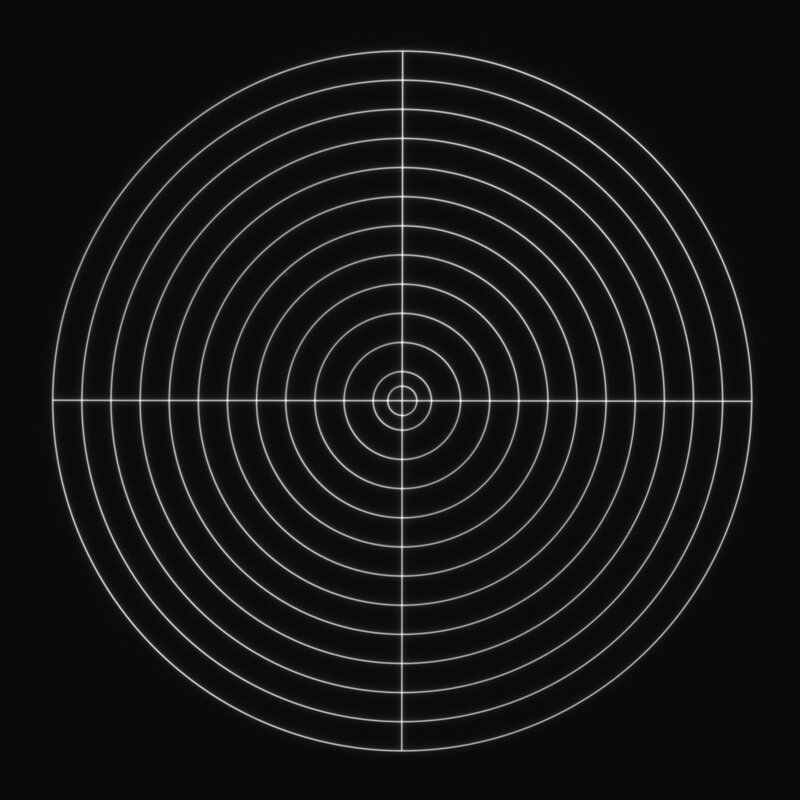 Pattern A – Target. 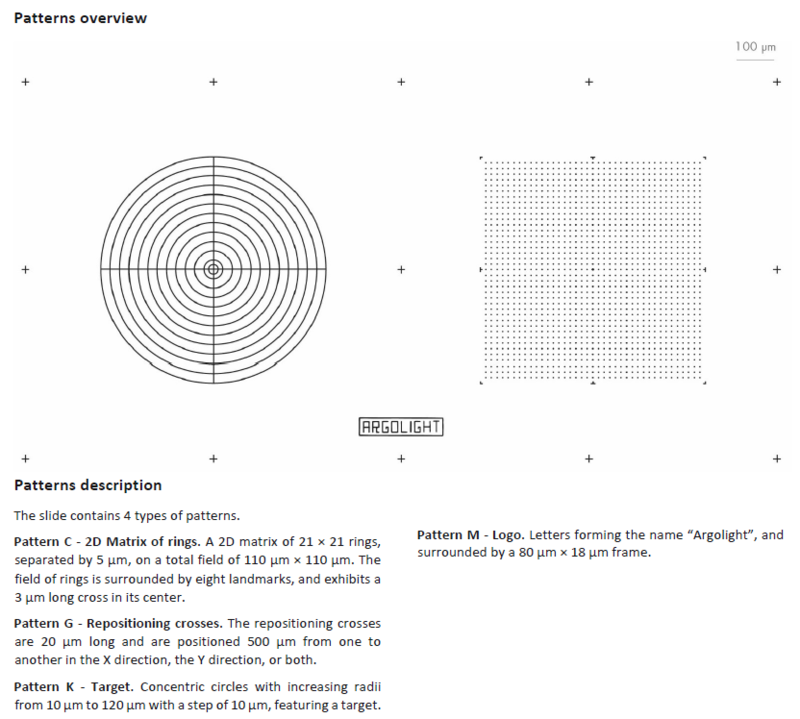 This pattern consists in concentric circles with increasing radii from 25 μm to 300 μm with a step of 25 μm, plus an extra circle with a radius of 12.5 μm, featuring a target. Pattern B – Field of rings. This pattern consists in a matrix of 39× 39 rings, separated by 15 μm, on a total field of 600 × 600 μm². The field of rings is surrounded by eight landmarks, and exhibits a 7.5 μm long cross in its center..
Pattern H – Repositioning crosses. The repositioning crosses are 20 μm long and are positioned 500 μm from one to another in the X direction, the Y direction, or both. Pattern J – Logo. 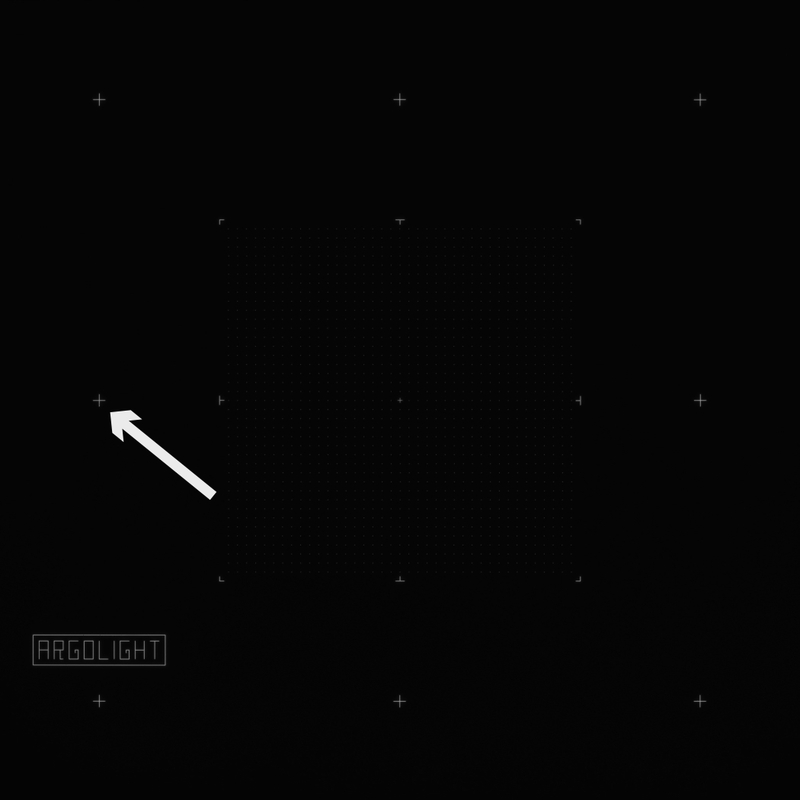 This pattern consists in letters forming the company name “Argolight”, and surrounded by a 220 μm × 50 μm frame. 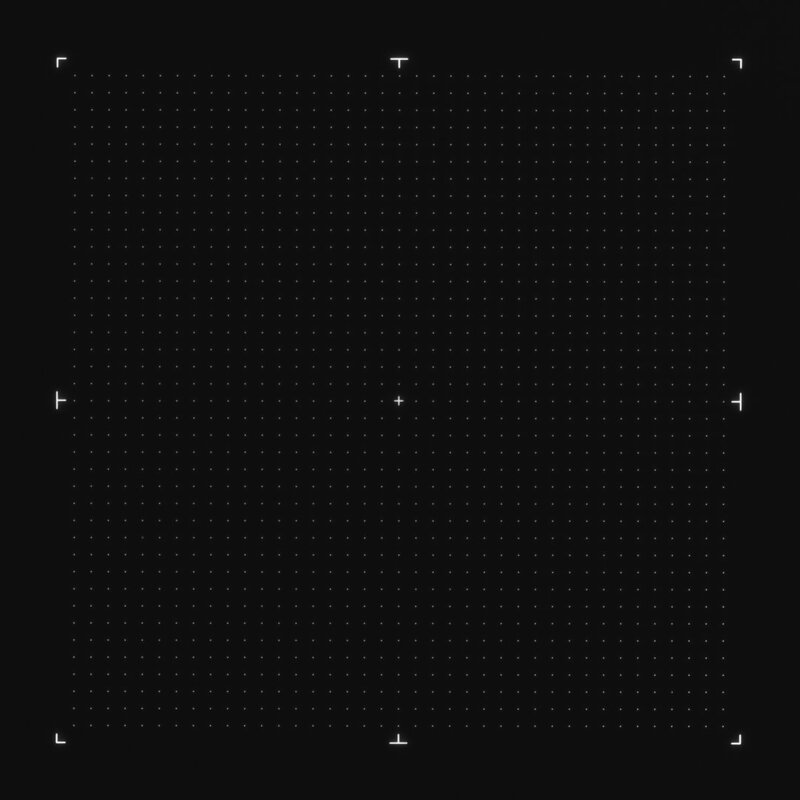 Pattern Overview. This represents the overall repartition of patterns in the slide with scale.